The US based General Motor’s brand in India Chevrolet plans to re-launch its most successful utility vehicle, Chevrolet Tavera in India. This new Tavera will sport Bharat Stage IV (BS4) emission norms badge. The Multi Utility Vehicle (MUV) Tavera is at present available in BS III cities with its turbo diesel engine. Hence in order to unfold its wings in the BS IV cities it needs an engine that is BS IV emission norms compliant and this version will do the needful for Chevrolet Tavera. 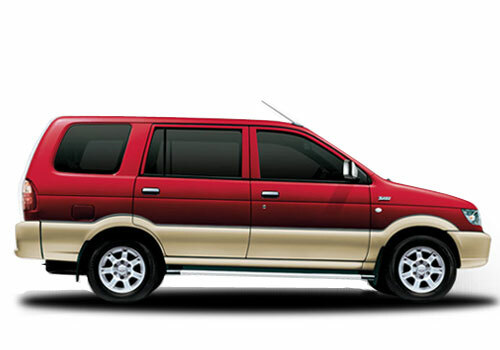 The MUV will get renovated in order to distinguish between the existing Chevrolet Tavera. The expected facelift will be inspired by Isuzu MUV Panther. Isuzu Motors is a Japan based company that provides engine assistance to General Motors and other auto giants globally. The front view will feature new crystalline headlamps for extra flaring along with re-designed robust looking front bumper, furthermore the grille in the frontage grips the Chevrolet insignia. Apart from the changes in the exteriors the reliable MUV might get some extra features in interior part. Under the hood, BS IV compliant Tavera will carry a common rail diesel engine from Rhino MUV; the product of International Cars Motor Ltd that is sold under Sonalika brand. The 2.0L common rail turbocharged diesel power-train will generate around 100 bhp of maximum power along with maximum torque of 240 Nm. A 5-speed manual gear-box will be mated to the engine. The MUV is expected to offer mileage of around 15 to 16 kmpl; which is the unique selling point of the vehicle.